Welcome To Indian Rocks Tackle! "West Coast's Only Complete Billfish Outfitter"
STORE HOURS - Tuesday - Saturday, 9a.m. to 6p.m. 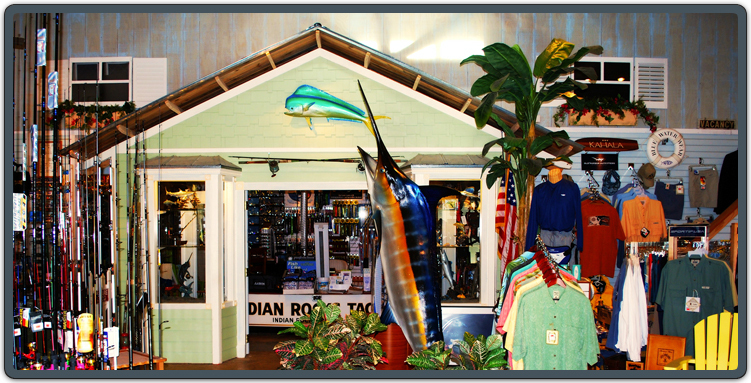 We encourage you to drop by and have a look around our store on beautiful Indian Rocks Beach Florida. We offer Custom Rods & Repair, Reel Servicing, Line Spooling and Rigging, and offer a Complete Line of Penn reel parts. Friendly service and a full lineup of the World's Best Saltwater Fishing Tackle keeps our customers coming back again and again!